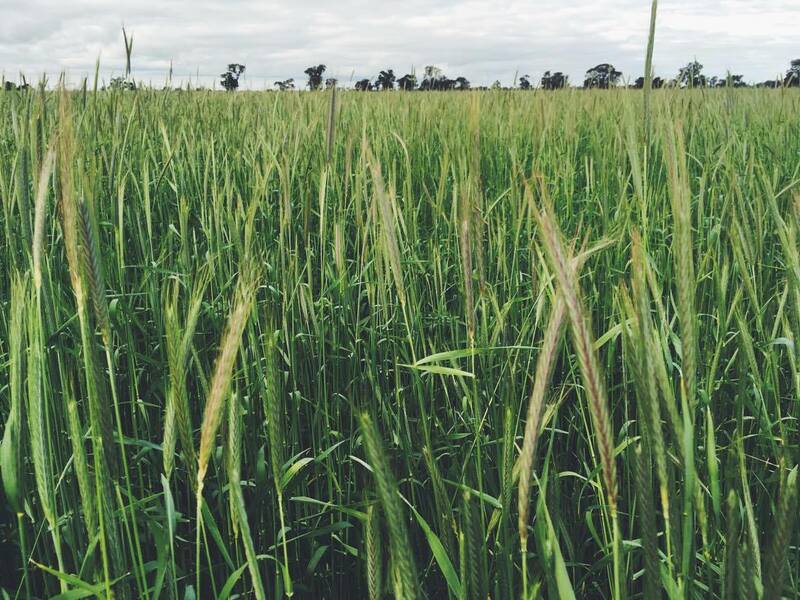 The Australian Government's Grains Research and Development Corporation (GRDC) recently released their Research, Development and Extension (RD&E) Plan for the next five years. The GRDC's purpose is to 'invest in research, development and extension to create enduring profitability for Australian grain growers'. AFSA provided some feedback to the plan to ensure the plight of small-scale, regenerative grain growers are heard. It appears that the GRDC is only concerned with helping large-scale, industrialised and export oriented grain growers. It was disappointing to find that the plan is solely focused on export markets and fails to address untapped domestic market potential. For example, there is a lack of 'heritage', single origin grains suitable for stoneground milling, wholegrain flours, sourdough baking and craft beer and whiskey production, among other uses. There's a shortage of Certified Organic and Biodynamic grains (such as cereal rye) for human consumption and stock feed (particularly for poultry and pigs). There is also an unmet demand for native grains like kangaroo grass and native millet. Native grains could provide a great opportunity for the industry to engage with the Indigenous community and contribute to a food system that empowers our country's Traditional Owners. Investing in native grains and other perennials is obviously also important for the health of our soils. Rather than focusing purely on exports, Australia would benefit from fostering local grain economies, like what's happening in the States and parts of Europe. Similar to wine regions, we could be celebrating the regionality of our grains, the hard work of our farmers, and exploring the potential for a terroir. It would revitalise our rural grain growing areas by encouraging tourism and creating a sense of pride through the farm to table connection. The local food movement provides a great opportunity for growers to get a better price for their produce. CSAs and other alternative economic models could be explored to ensure security for growers. Disappointingly, the GRDC's plan ignores the impact of various social issues that are prevalent in grain growing regions. For example, the loss of the family farm, gender imbalances, increasing farm debts, struggling towns, and community health issues, particularly mental health problems. These issues influence and are influenced by the grain industry which means the GRDC is obligated to address them in order ensure 'enduring profitability'. The GRDC barely mentions climate change. This is extremely concerning as grain growers are likely to be severely impacted in a worst case climate change scenario. While they briefly talk about 'climate variability', it is not enough to prepare farmers for an uncertain future. The GRDC is obviously in a prime position to inform growers about climate change and assist in adaptation and mitigation efforts. The plan fails to acknowledge the lack of small-scale machinery and equipment in Australia and the small number of processors available. Small-scale and entry level growers need access to appropriate machinery, lease and rental opportunities, storage solutions, and processors. The current system is clearly set up for large scale operations which means Australia is closing the door to a lot of innovation and growth in the industry. The threat that GM and other technologies pose to Australia’s growing organic sector have also not been recognised in the plan. The GRDC needs to be engaging with growers on these issues as they will continue to be on the radar in the future. There is growing consumer awareness of GM and pesticide contamination, particularly glyphosate, in Australia and abroad. With their focus on exports, it's surprising that the GRDC is not concerned about countries considering to block imports containing GM and glyphosate residues. More attention needs be paid to reducing costs to the farmer rather than the current productivist focus on ever larger yields in increasingly input heavy systems. The plan acknowledges that the cost of inputs have increased but fails to recognise that the use of inputs have increased too. The high cost of fertiliser and pesticides per tonne of grain produced in Australia, compared to other countries, suggests that R&D needs to be looking at ways to help growers move away from such a dependency on inputs instead of supporting cheaper products and innovation in the input sector. The GRDC’s plan is clearly technocratic and does not recognise low cost, low tech alternatives that would benefit organic, regenerative and small-scale grain growers. Research needs to be geared towards value adding and closed loop systems, with extension services to help growers take control over their supply chains so that they are price makers rather than price takers. Unsurprisingly, the GRDC aren't too concerned with diversification. Many growers are moving away from keeping livestock but this age old system of integrating crops with animals has many benefits if managed appropriately. The GRDC should invest in extension services to help farmers better integrate livestock within cropping systems through the use of holistic management techniques and pasture cropping. Research is also required to look at diversification of crop varieties over a rotation and also in situ. For example, mixtures of 'heritage' wheat varieties grown together can lead to increased yields, better resilience and enhanced soils. Growers should be encouraged to consider ‘heritage’ and ‘ancient’ varieties for their marketable potential in terms of flavour and health benefits, and also the ecological benefits they provide on farm with increased biomass and extensive root systems. The greater the variety of grains grown in Australia, the more resilient our farmers and the industry at large will be. With diverse seed in the hands of farmers, the GRDC could assist with the development of landrace varieties that are suitable for specific regions, rather than just investing in the current centralised, one-size-fits-all model of plant breeding. The GRDC could help facilitate relationships between small-scale growers, plant breeders, millers and chefs/bakers to work on developing varieties that tick all the boxes. More research is required for no-kill and pasture cropping so that regenerative crop farmers can restore carbon in the soils and maintain soil structure without the use of pesticides. This will ensure stable yields over a long term and allow farmers to move away from costly, input heavy systems. Research and extension services are also required for organic pest management, with a focus on building resilient, biodiverse systems that prevent pest outbreaks. It's clear that the GRDC is only concerned with creating 'enduring profitability' for industrial, export oriented, large scale growers. But with more and more small-scale farmers proving that you can run a viable business growing grain to feed your local community and regenerate the land, the GRDC may soon realise the consequences of its limited vision. Through collectivism and transparency, we'll have to build a local grain economy ourselves.